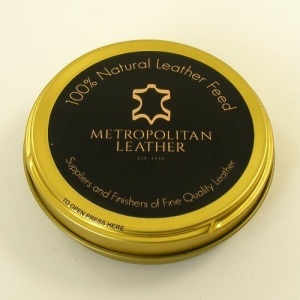 This 100% natural leather feed is made in the UK by Metropolitan Leather. It's suitable for the care and conditioning of new and used smooth leathers. To use, remove all dirt, apply lightly and allow to dry before buffing with a smooth, clean cloth. Do not use on suede or nubuck. 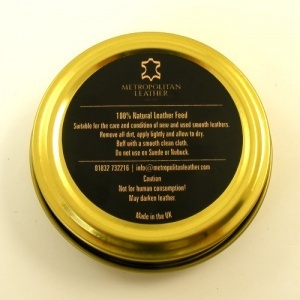 This product may darken your leather slightly as it restores the natural oils and waxes.